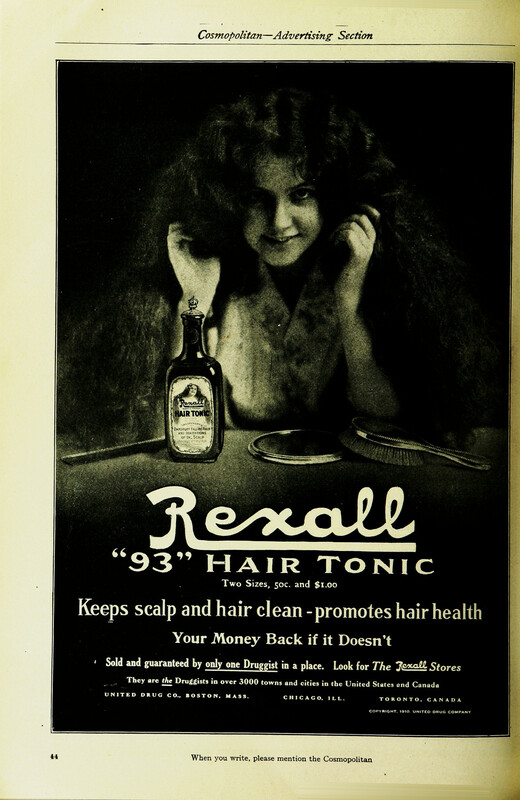 I. Cosmopolitan V. 51 #1, 1910-06, page 189 "Rexall '93' Hair Tonic"
2. 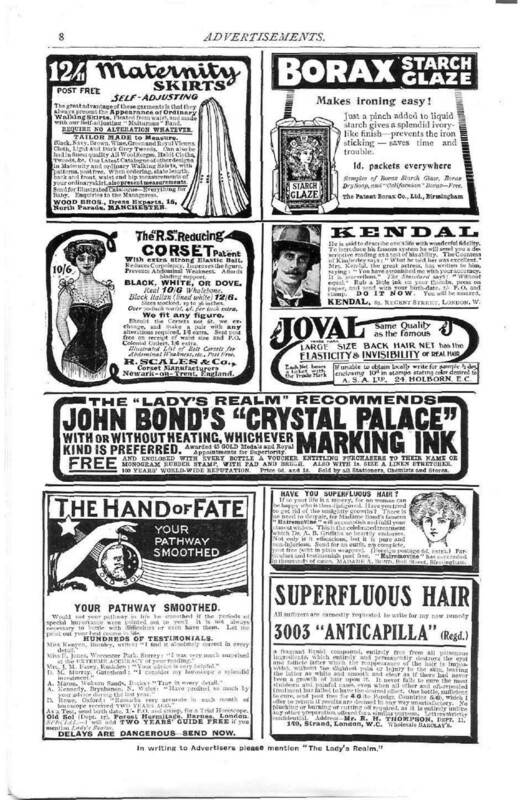 The Lady's Realm V. 29 #171, 1911-01, page 11 "3003 'Anticapilla'"
3. Good Housekeeping V. 51 # 2, 1910-08 page 139 "Ed. 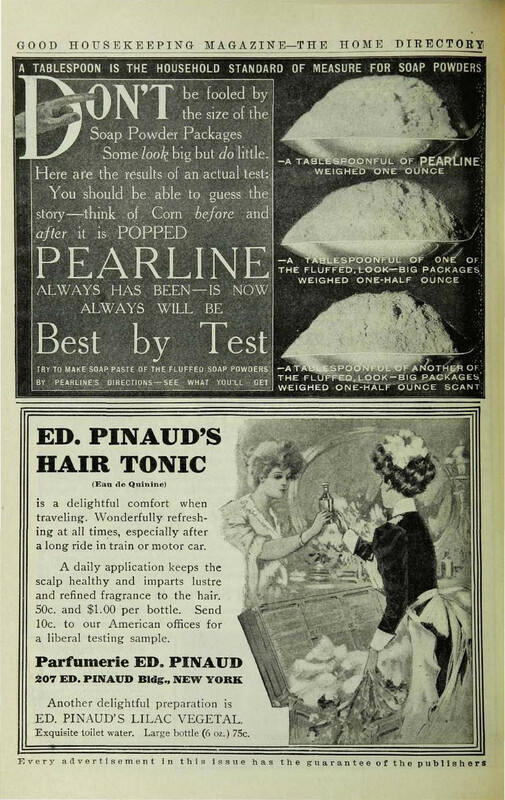 Pinaud's Hair Tonic"